In France, a contentious presidential election is currently in swing, and in the US, we know a lot about what that’s like. We also know that an election gives you a lot to 3D print. Last year, we saw plenty of political printing, including life-sized 3D printed bobbleheads of both Hillary Clinton and Donald Trump, a 3D printed board game, and these guys. We even saw the actual election results 3D printed on Election Night itself. So it’s not too surprising to learn that France is doing some politically motivated 3D printing as well as its own election approaches. It’s a fun way for French citizens to show their support for their favored candidates, but Cults founder Hugo Cults hopes that it sends a stronger message to the candidates themselves – that technology and innovation need to be a priority for whoever is elected. Want to see your candidate in the lead? The three-dimensional portraits of the candidates were created by stitching together multiple 2D photos of each. Cults then teamed up with service bureau 3D Prod to print them in gray resin on a 3D Systems ProX 800 SLA 3D printer. 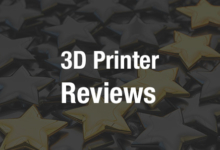 Each of the models, however, is designed for printing on personal consumer 3D printers, or through a printing service if you don’t have your own printer. You can see the full French Presidential Election series here, and find out which candidate is the most popular in the 3D printing world in both likes and downloads. (Interestingly, Le Pen is leading in downloads but trailing the rest in terms of likes at the moment, and Hamon vice versa.) Cults invites makers to share photos of their 3D printed candidates in the “Makes” section of the website, as well as on social media in hopes that the project will get back to the politicians themselves. As Cults puts it, they’ve decided to “reinterpret” the bust, which has long been a symbol of stuffy importance, and update it by putting it in digital and 3D printed form. I see the message being sent to candidates as “Yes, you’re very important, but so is technology. Let’s not forget about the importance of investing in the future through tech and innovation.” According to Cults, innovation is a topic that hasn’t been mentioned much by any of the candidates, so they could use a clever reminder. A lot of great innovation has come out of France already, with 3D printing and other advanced technology playing a role in healthcare, in ideas for emergency relief, in the arts, in education – and those are just a few examples. France has given us companies such as Dassault Systémes, Sculpteo, BeAM – again, just to name a few. Technology and innovation play a big role in the country’s economy – and as the economy is always a focal point in every election, the French presidential candidates would probably do well to assure constituents that they plan to invest in things such as 3D printing. Discuss in the Cults forum at 3DPB.com.